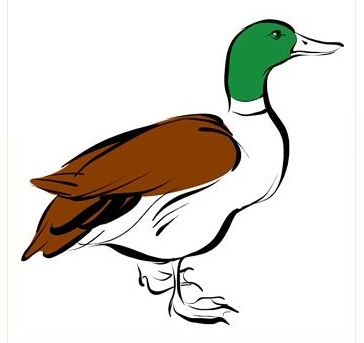 Ducks Unlimited is the world leader in wetlands and waterfowl conservation. Celebrating it's 75th Anniversary in 2012, it has been in operation since way back in 1937, during the times of the great Dust Bowl when North America’s drought-plagued waterfowl populations had dwindled to all-time lows. A small group of sportsmen were determined to do something about the problem, and they joined together to form the group. The Colonial Beach area now has a local chapter, which is called the Middle Potomac River chapter. Ducks Unlimited is now the world’s largest and most effective private waterfowl and wetlands conservation organization. Their work is achieved through a series of partnerships with private individuals, landowners, agencies, scientific communities and other entities, and has provided more than 9.4 million acres of valuable nesting, brood-rearing, staging, migration, and wintering habitat. 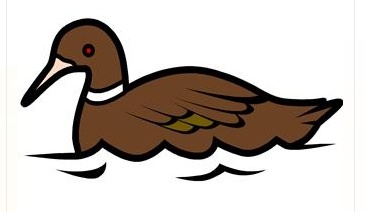 Many people do not realize that a diet of white bread can be fatal to waterfowl. When the birds gorge themselves on bread, they stop eating their natural foods, which are much more nutritious. The birds become malnourished and there have also been cases of birds choking on wads of bread! The group is tax exempt under section 501 (c)(3) of the Internal Revenue Code, and have conserved more than 12 million acres of waterfowl habitat throughout North America. Their supporters have raised nearly $1.6 billion for conservation since 1937. No other conservation or environmental group can match their accomplishments on behalf of waterfowl, wetlands, and related habitats. Cocktails and hors d'oeuvres, Silent Auction, Dinner, Live Auction and various raffles throughout the evening. The 2nd Annual Banquet was held April 6, 2013 at the Colonial Beach Moose Lodge.